LCD Display protection, cleaning and refinishing system for Apple iBook and PowerBook. Notebook ScreenSavrz pattern size and thickness are thoroughly and meticulously researched. 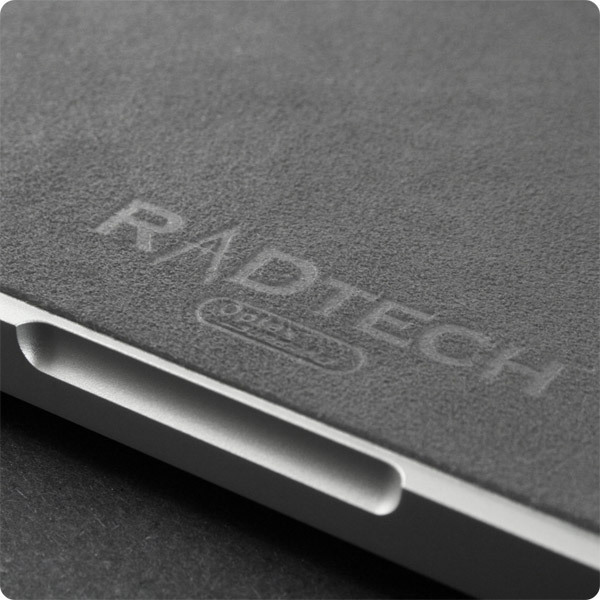 RadTech performs extensive mechanical testing for screen, case and keyboard contact. Optimum LCD support in the event of a shock or drop, proper cooling, sleep function and display face pressure as well as ergonomic and performance testing using an experienced 200 member focus group. Closed notebooks are load tested to 90 kg. to simulate a person sitting on the machine. 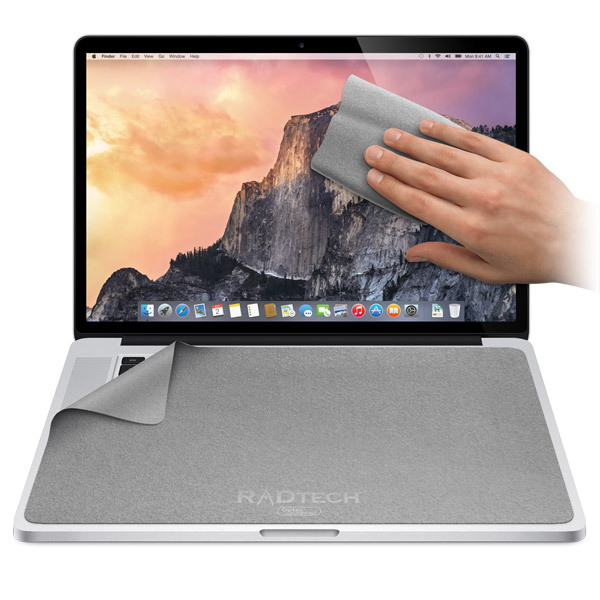 RadTech certifies that notebook computer LCDs are protected to the highest degree possible when used with our full-size ScreenSavrz for Notebooks. 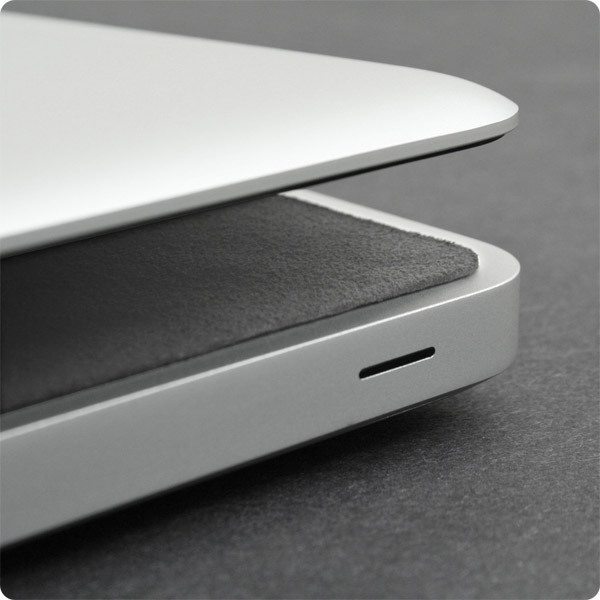 We tailor fit each ScreenSavrz to work with specific laptop models including the height, width and thickness. 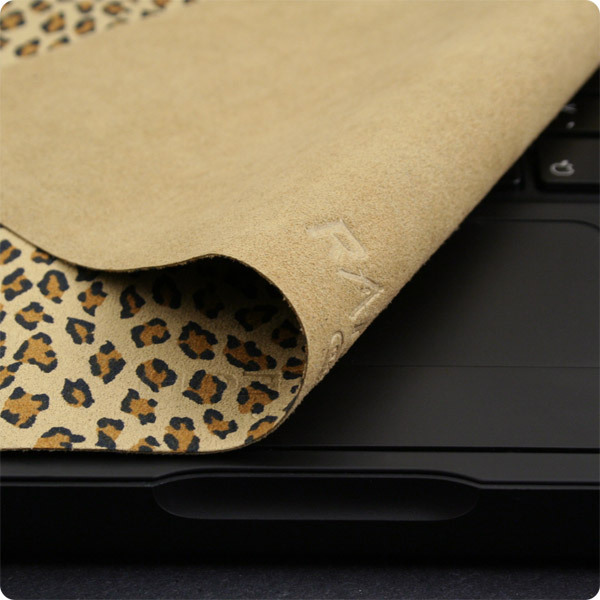 We design each ScreenSavrz to fit inside without stressing the display hinge.